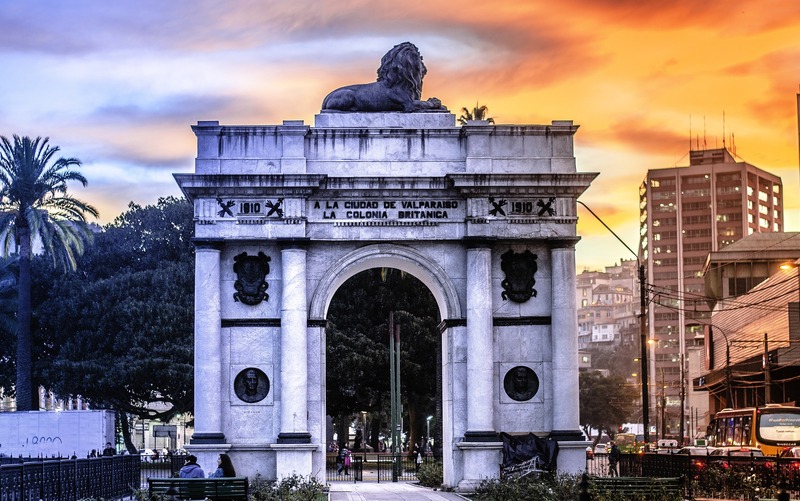 This southern country is Santiago, one of the capitals of South American business tourism, and its surroundings: Viña del Mar, Valparaiso, and, during the winter, attractive ski resorts. Close by is the Colchagua Valley, the most symbolic wine tourism site in Chile, a place you must visit if you want to taste some of the best wines in the world. And southern Chile is an area you won’t want to miss, either. You will find charming little towns there, built by immigrants who landed on these shores during the 19th century, and steadfast traditions and beautiful natural settings. Snow, lakes, volcanoes. It is Puerto Varas, Villarrica. Farther south sits the Chilean Patagonia and its majestic glaciers and mountains. Finally, it is Easter Island and its beaches and diverse traditions. All of this is Chile. Enjoy your visits there, particularly its wines. Upon arrival at the airport, one of our representatives will meet and assist you in transferring to your hotel. You will go on half-day panoramic city tour of Santiago’s main attractions, rich history and modern, impressive buildings. You will visit La Moneda Palace, the Main Square (Plaza de Armas), Santa Lucía Hill, and the Metropolitan Park. The affluent residential districts of Vitacura and Las Condes are part of this unforgettable ride. Have breakfast at your hotel. Afterwards, you will then be transferred from your hotel to the airport to board flight to the city of Calama (flight not included, to be booked by agent). Upon arrival in Calama, you will be met by one of our representatives and be transferred to the town of San Pedro de Atacama. In the afternoon, you will see the sunset from the best spot in northern Chile at the Salt Mountains. Capricious clay and salt structures created millions of years ago by mineral deposits turned into a lunar landscape at dusk; it is a truly remarkable sight. Following breakfast, you will visit Chile’s largest salt deposit: the Atacama Salt Flat, with an extension of 3,000 kilometers ². It is located between the Andes and the Cordillera Domeyko Mountains at an altitude of 2,305 meters, the vast expanse of white is dotted with small saline lagoons in shades of blue, turquoise, pink, or grey, where it is also possible to observe three protected species of flamingoes (Andean, Chilean, and James’s). You will also visit the traditional town of Toconao. Have breakfast at your hotel before spending the rest of the day off at leisure. Have breakfast at your hotel before being transferred to the Calama Airport to board flight back to Santiago (flight not included, to be booked by agent). Upon arrival in Santiago, one of our representatives will meet and transfer you to your hotel. Following breakfast, you will be transferred from the airport to take your flight to the city of Puerto Montt (flight not included, to be booked by agent). From the Puerto Montt airport, you will be met and transferred to your hotel by one of our representatives. In the afternoon, you will go on a city tour of Puerto Montt and Puerto Varas. After breakfast, you will take a morning trip to Petrohué, skirting Lake Llanquihue under the gaze of the mighty Osorno Volcano. You will then embark on a boat trip across beautiful Lake Todos los Santos to Peulla. You will return to Puerto Varas for overnight. After breakfast, you will be transferred from your hotel to the airport to board your flight to Punta Arenas (flight not included, to be booked by agent). Upon arrival to Punta Arenas Airport, you will be transferred to the Puerto Natales Bus Station. At Puerto Natales Bus Station, you will be transferred by one of our representatives to your hotel. Have breakfast at your hotel before departing from your hotel in the morning for a full day visit to Torres del Paine National Park and the Cave of the Mylodon (lunch box is included). Afterwards, you will return to your hotel for overnight. Have breakfast at your hotel before spending the rest of the day open at leisure. Have breakfast at your hotel before being transferred to the Puerto Natales Bus Station. You then will be transferred to the local airport to board flight back to Santiago (flight not included, to be booked by agent). Upon arrival in Santiago, you will be met by one of our representatives and be transferred to your hotel. Have breakfast at your hotel before being transferred your hotel to the airport to take your departing flight home.